St Bernardus is a highly respected Abbey brewery in Belgium. Many people rate their Quadrupel (ABT 12) over Westvleteren's! Now I don't rate it quite that highly, but I'll tell you what it's a good beer! 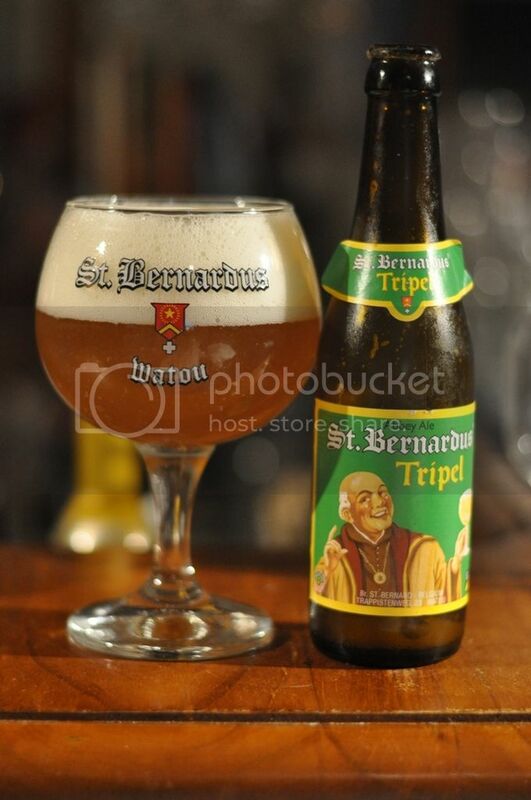 Amazingly though, I've never had this beer - I love Tripels and can't believe it's escaped me so long. 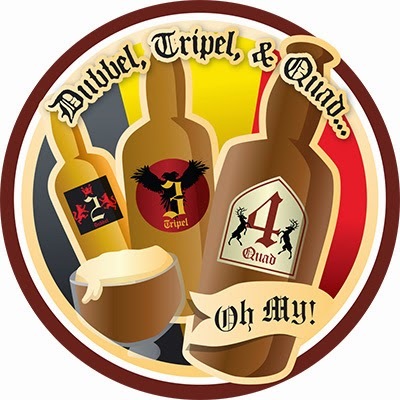 "Dubbel, Tripel and Quad Oh My!" is a real mouthful to say! It is however pretty self explantory and even novice drinkers should be able to work out what this badge is for. For those of you who are still in the dark; to earn this Untappd badge check into 5 Dubbels, Tripels, Quads or a combination of all three. So this beer pours a nice deep orange/gold colour. It has a nice big white head immediately after pouring, which has good retention. Tripel's take that little longer to drink and yet still at the end there was a nice, quite thick rim of foam left behind. This particular bottle has lots of "floaties" in it. This is something that many people get scared by, don't worry though all it is dead yeast. It's a natural by-product of, generally higher ABV, bottle conditioned beers. The nose is packed full of fruit aromas, something that I don't often associate with Tripel's. Pear, plum and apple are all noticeably distinct aromas, and there are more less obvious ones in the background. It's also got this wonderful yeasty spiciness, which really takes the aroma to the next level! St Bernardus' Tripel tastes almost as good as it smells. It's still quite fruity for the style, however pear and now apricot are far and away the most dominant. The yeasty spice is just perfect and there is a nice candi sugar sweetness, which isn't overstated. I have to say this is a particularly drinkable Tripel. The flavours of this Tripel are more muted than many and I feel would be more (although still not very) friendly to people trying to get into the style. The balance of fruit, sweetness and spice is spectacular! Despite my earlier statement; I'd highly recommend this Tripel to all who appreciate the style but haven't had it. It's a beer that I can see becoming a staple in my fridge.